For Fidelity International Currency Advisor A Fund, L.L.C., by the Tax Matters Partner, Plaintiff: David J. Curtin, James D. Bridgeman, Kiara Rankin, Sheri A. Dillon, William F. Nelson, LEAD ATTORNEYS, Bingham McCutchen LLP - DC, Washington, DC; John O. Mirick, LEAD ATTORNEY, Mirick, O'Connell, DeMallie & Lougee, Worcester, MA; Michelle Levin, LEAD ATTORNEY, PRO HAC VICE, Bingham McCutchen LLP - DC, Washington, DC; Ronald L. Buch, LEAD ATTORNEY, PRO HAC VICE, Bingham McCutchen LLP, Washington, DC; David K. McCay, Mirick, O'Connell, DeMallie & Louggee, LLP, Worcester, MA. For United States of America, Defendant: Dennis M. Donohue, LEAD ATTORNEY, Washington, DC; Barry E. Reiferson, U.S. Department of Justice, Trial Attorney, Tax Division, Washington, DC; Heather L. Vann, U.S. Department of Justice, Washington, DC; John Lindquist, U.S. Department of Justice, Tax Division, Washington, DC. For BDO Seidman LLP, Movant: Diana L. Erbsen, Ellis L. Reemer, LEAD ATTORNEYS, Frank J. Jackson, DLA Piper US LLP, New York, NY; Lisa S. Core, DLA Piper Rudnick Gray Cary US LLP, Boston, MA. For Proskauer Rose LLP, Third Party Witness: Christopher L. DeMayo, LEAD ATTORNEY, Dewey & LeBoeuf LLP, Boston, MA; David M. Lederkramer, LEAD ATTORNEY, Proskauer Rose LLP, New York, NY; Lawrence M. Hill, Mark D. Allison, LEAD ATTORNEYS, Dewey & LeBoeuf LLP, New York, NY. For KPMG LLP, Interested Party: Armando Gomez, LEAD ATTORNEY, Skadden, Arps, Slate, Meagher & Flom LLP, Washington, DC. For RSM McGladrey, Inc., Interested Party: David E. Walters, Matthew M. Neumeier, LEAD ATTORNEYS, Howrey LLP, Chicago, IL; Peter J. Karol, Robert L. Kann, Sunstein Kann Murphy & Timbers LLP, Boston, MA. The NYT reports here that there are indications of a shift toward Parliamentary approval of the US / UBS / Swiss deal requiring UBS to turnover of 4,450 names of U.S. taxpayers hiding money -- and probably taxable income -- in UBS. Swiss Parliamentary action is expected in June. Those U.S. taxpayers who expected / hoped the Swiss would hunker down to save them, may be disappointed. Their failure to join the voluntary disclosure program earlier may cost them significantly, at least in terms of penalties. And, of course, I would expect that some will be criminally charged. In the Egan case I discussed yesterday here, Judge Saylor was tough on the lawyers. I thought lawyers (who I presume are the principal readers of this blog) may find it at least interesting to read his detailed conclusions regarding the lawyers’ behavior. 1234. Both Proskauer and Sidley Austin had an inherent conflict of interest in purporting to render legal advice to the Egans. 1235. As described above, R.J. Ruble of Sidley Austin and Ira Akselrad of Proskauer Rose actively assisted DGI/Helios in the design, development, marketing, and implementation of the tax shelter strategy and its variants. (Exs. 797, 798, 809, 814). 1236. Among other things, Ruble and Akselrad provided input on the strategies, commented on the marketing materials, and provided or commented on model legal opinions to use in the promoting tax shelter strategy. The opinion is 357 pages long as issued by the court. The only copy of the opinion that I have is a whopping scanned pdf the original which is large, not easy to read and is not searchable. Hence, I offer up here an OCR'd version that I hope has been reasonably OCR'd (I have not tried to proof read it; note that when you click, the document will come up in google docs which I find difficult to work with; I recommend that you download the document (click on top of screen in Google Docs) and view it in regular pdf format which is both bookmarked and searchable.). The May 16 edition of the Washington Post has a fascinating article on the Birkenfeld saga. David S. Hilzenrath, Swiss banker turned whistleblower ended up with a prison sentence. Birkenfeld strived to get the holy grail of whistleblower rewards under Code Section 7623 (statute here and IRS discussion here) and immunity from prosecution. That was a delicate dance, and he tried out several partners for the dance (DOJ Tax, SEC, IRS). Birkenfield stepped on some toes and ended up being prosecuted. It remains to be seen whether he will be rewarded. If so, the amount could be huge. I have previously blogged various aspects of the Birkenfeld saga (see here for all posts), including being named Tax Analysts Person of the year (see here). The takeaway from Birkenfeld's experience is that, if you are going to do this dance, you must come clean and not protect either your self or others (including clients). [Karen E.] Kelly [of DOJ Tax and Walter Anderson prosecution fame] also put Birkenfeld's lawyers on notice: The Justice Department was not part of the IRS whistleblower program, "and you should act accordingly." [After giving DOJ Tax criminal attorneys some tantalizing information] Prosecutor Kevin M. Downing "looked at me and said, 'Oh, you watch too much TV. That's Hollywood,' " Birkenfeld recounted in an interview. Birkenfeld said he felt he was treated with "hostility and aggression." on the sole issue of whether the two clauses in 18 U.S.C. § 371 -- the "offense" clause and the "defraud" clause -- constitute separate offenses under the Double Jeopardy Clause of the United States Constitution. You will recall that that statute defines a criminal conspiracy as a conspiracy to commit an offense and a conspiracy to defraud the United States -- "the 'offense' clause and the 'defraud' clause, as stated by the Court in granting the petition for rehearing en banc. The en banc majority opinion was written by Judge Fuentes who wrote the panel majority opinion. The en banc minority opinion was written by Judge Rendell who wrote the panel minority opinion. Needless to say, the result does not change. And, I am not sure much new was added by the en banc opinions; the battle lines were staked out in the predicate panel opinions. I have not tried to compare the en banc and panel opinions to pick up sublte nuances, but will offer her the gist of the en banc opinions. Tax controversy attorneys often engage accountants to assist them in providing legal services to a client of the attorney facings civil or criminal tax investigation. This arrangement is called a Kovel agreement, named after the leading case recognizing it -- United States v. Kovel, 296 F.2d 918 (2d Cir. 1961). The IRS is now noising about testing the limits of the Kovel arrangement. An article in today's Tax Notes Today (Sam Young, Government Will Subpoena Accountants in Criminal Tax Prosecutions, Official Warns, 2010 TNT 91-4), although somewhat cryptic, seems to be consistent with the rumors we have heard in this regard. I should note, however, that, since this initiative -- if that is the right word for it -- is so fresh, there does not appear to be a definitive statement of the IRS's concern or its theories for avoiding a properly implemented Kovel arrangement. I suspect that the IRS will not be able to pierce a properly implemented Kovel arrangement, but I do suspect that there are arrangements under the guise of Kovel that exceed the limits of the construct on which Kovel is based. Readers wanting to pursue this matter further may click here for a more detailed discussion from the current update draft of my Tax Procedure book. Readers may also want to visit Phil Hodgen's excellent blog discussion of this same issue here. a. In non-TEFRA cases, the general rule is 3 years with two key exceptions in the case of tax shelters: (i) 6 years if a 25% omission of gross income is involved and (ii) no statute if fraud is involved. See Section 6501(c)(1) & 2 and (e)(1)(A) (prior to amendment by the HIRE Act). b. In TEFRA cases, the special statute of limitations (which may extend the limitations periods discussed in paragraph a.) a general 3 year rule with extended periods paralleling the general rules in paragraph a. in the case of: (i) false or fraudulent partnership returns (6 years except that partners "signing or participating in the preparation of" a false or fraudulent return) may be assessed at any time,” (ii) 6 years for 25% gross income omissions, (iii) unlimited if no return, and (iv) Service prepared returns. § 6229(a) &.(c). Many abusive tax shelters attempted to make sure the general 3 year statute of limitations would apply by (i) offering a packaged (Government would call "cookie-cutter") legal opinion so as (the promoters and taxpayers hoped) to avoid fraud and (ii) creating the shelter through a mechanism other than omission of gross income. One of the so-called loss generator strategies was to create artificial basis. The Son-of-Boss transactions were typical of this type of abusive tax shelter. I won't get into the details of that genre of shelter, but I will illustrate in a highly simplified example. Suppose a taxpayer had $50,000,000 of capital gain and his or her only other income was $1,000,000 in compensation. If the taxpayer omitted the capital gain from his or her return, he or she would easily have a 25% omission of income and the six year statute would apply. If, however, the taxpayer can generate artificial basis to offset the capital gain (say making the gain net of the artificial basis $50,000 rather than $50,000,000), the taxpayer has set the stage for an argument that the three year statute applies. The argument is based on the Supreme Court's holding in Colony Inc. v. Commissioner, 357 U.S. 28 (1958), which interpreted the 1939 Code equivalent of the Section 6501(e) 25% omission 6 year statute. The IRS has argued that Colony did not require that holding, but the courts have generally disagreed. As a result, the IRS promulgated regulations that, if valid, would sustain the IRS position and overrule the cases holding otherwise. In certain cases [including Cheek] involving willful violations of the tax laws, we have concluded that the jury must find that the defendant was aware of the specific provision of the tax code that he was charged with violating. Neither of these cases [Cheek and Ratzlaf], however, required the government to prove the defendant's knowledge of a specific provision of law. In Cheek, the Supreme Court held that “willfulness,” as used in the criminal provisions of the tax code, required the government to prove that the defendant knew of the legal duty to file an income tax return and to treat his wages as income. But the Court noted that the “jury would be free to consider any admissible evidence from any source” showing that the defendant was aware of this duty. While Cheek listed “awareness of the relevant provisions of the Code or regulations” as one source of such evidence, it did not identify it as the exclusive source. Similarly, Ratzlaff held that the government could not carry its burden to prove the "willfulness" requirement in a prosecution for illegal structuring of financial transactions merely by proving that the defendant knew of the bank's duty to report cash transactions of more than $ 10,000. Nevertheless, the government did not have to prove that the defendant was aware of the provision of the federal statute that made it illegal to structure his cash deposits to avoid triggering the bank's reporting obligation. It was sufficient if a jury could reasonably conclude that the “defendant knew of his duty to refrain from structuring," a conclusion which could be based on "reasonable inferences from the evidence of defendant's conduct.” Similarly, prior to Cheek and Ratzlaff, we indicated that "willfulness" under a complex anti-exportation statute required proof of "a voluntary, intentional violation of a known legal duty," but we considered this standard satisfied where the government proved “that the defendant [knew] that his conduct . . . is violative of the law.” These cases make clear that even in the context of “highly technical statutes that presented the danger of ensnaring individuals engaged in apparently innocent conduct,” the term “willfulness” requires the government to prove that the defendant was aware of the legal duty at issue, but not that the defendant was aware of a specific statutory or regulatory provision. Our immediate concern is the prospect that the government may bring criminal tax charges against persons who attempted voluntary disclosures but were later advised that pursuant to the VDP they were not timely. Such action would effectively destroy the VDP. A copy of the letter is here. Articles appear in this morning's Tax Notes and in the popular press (WSJ article is here and the Tax Prof Blog article is here). The Foreign Account Tax Compliance Act ("FATCA") provisions of the recently enacted Hiring Incentives to Restore Employment Act ("HIRE Act") contains several provisions related to foreign financial asset disclosures to be made on income tax returns. New § 6038D) imposes a tax return disclosure requirement for an interest in a "specified foreign financial asset." Reportable “specified foreign financial assets” are depository or custodial accounts at foreign financial institutions and, to the extent not held in an account at a financial institution, (1) stocks or securities issued by foreign persons, (2) any other financial instrument or contract held for investment that is issued by or has a counterparty that is not a U.S. person, and (3) any interest in a foreign entity. 1. Failure to comply with this provision can subject the entire return to an open statute of limitations until 3 years from the date the information is provided to the IRS. § 6501(c)(8), as amended. Moreover, failure to report income in excess of $5,000 attributable to foreign financial assets subjects the return to a 6 year statute of limitations. § 6501(e)(1)(A)(ii). Note in applying these two special statute of limitations rules, it is important to distinguish between the reporting of the information about the foreign financial assets and including the income attributable to the foreign financial assets in gross income. 2. Failure to comply can subject the taxpayer to significant penalties just for the failure to comply, regardless of whether additional tax is due. The penalty is $10,000, with an escalating penalty of $10,000 for each 30 days that the information is not provided after notice from the IRS. § 6038D(d). 3. If the failure to comply results in an understatement of tax, there is a new 40-percent penalty on any understatement attributable to an undisclosed foreign financial asset. (This penalty applies not only to the new foreign financial assets disclosures under § 6038D, but also disclosures required under §§ 6038, 6038A, new 6038D, 6046A, and 6048.) § 6662(b)(7) and (j). For more information, I link to the pertinent portions of my Tax Procedure text. For a good discussion of the open statute of limitations issue, KPMG has a good discussion here. New more lenient Sentencing Guidelines, effective 11/1/2010. The new / proposed guidelines permit a judge more leeway to consider factors not previously considered considered in the mainstream: criminal defendants’ military service, age, and mental and emotional conditions. Congress could still modify or even rejcect the proposals, but I don't think that is likely. 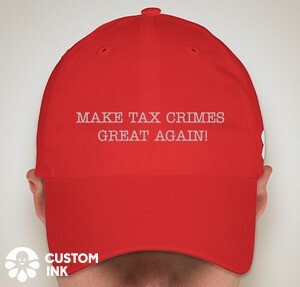 I think most of the phenomena that led to the change are not prominent in federal tax cases, but there is still some room for skillful and creative lawyering the sentencing phase in these cases. The international press report that the DOJ Tax Team -- Kevin Downing et al. -- are on the road to keep the press coverage rolling on the need for U.S. taxpayers with foreign financial accounts to come forward before the Government knocks on the door (or catches them bringing cash into the country). So the press reports go, the U.S. will have thousands of new cases involving banks other than UBS from banks and other governments. And, the voluntary disclosure program has provided leads to many other potential targets, including enablers.